REMEMBER! You can translate Russian pages using Google Translate. Simply copy and paste the link into Google Translate then click the "Translate" button. A Bridge of Wings: "The Commemorative Flight of the Rodina"
The Distance Record Moscow - North Pole - USA. In Russian only. Chkalov and Gromov Crews' Flights Across the North Pole to America. In Russian, but some interesting photos. History of Aviation: Russia. Photos, drawings, and specs. 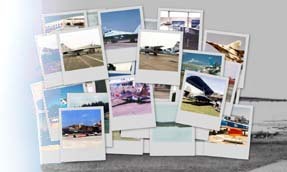 Clicking on the photos provides additional photos to those when one clicks on the aircraft name in the left-hand frame. Berlin airlift. Although Russian aviation related only because of the era and location, the dropping of candy to the children of Berlin during the Berlin airlift is a story near and dear to my heart. I served under the "Candy Bomber" when he was commander of Templehof Central Airport, Berlin, in the early 1970s. And in 1999, I had the pleasure of speaking with him during a Memorial Day service near my home. The Candy Bomber. Another page devoted to the "Candy Bomber." The CIA and the U-2 Program, 1954-1974From the Center for the Study of Intelligence, CIA. Chronicle of a Dive Bomber. In Russian.
. The Berlin Candy Bomber. Video. The Cold War International History Project. The Project promotes research into and understanding of the Cold War. Some of the released documents on this site are terrific! Historians beware: you won't be able to stop reading! Russian Fighters. Historical information about all the fighters used in Russia from the Nieuport 11 to today's aircraft. Air Vectors includes studies of dozens of World War II aircraft as well as public domain drawings of many aircraft. The Command and Staff of the Soviet Army Air Force in the Great Patriotic War 1941-1945. A Soviet View. The LA-5 from the Point of View of the Luftwaffe. in Russian only, but a good line drawing. Soviet Airplanes of the GPW. This site is great, filled with history, photos and drawings.